plane crash would be tempted to sit back, take a good hard look at life, and take things a little bit easier. Mike Allsop is not most people. Almost losing his life in a Twin Otter crash off the coast of Hawai'i awakened Mike's zest for life and his thirst for adventure. 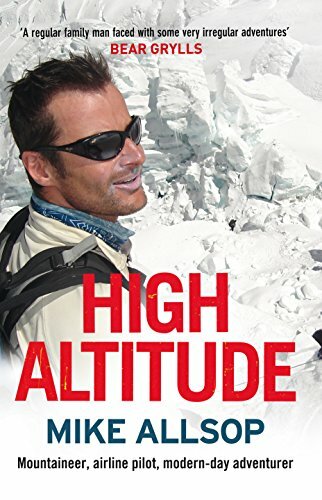 Mountaineering became Mike's passion and climbing led to him almost getting shot in Russia, narrowly missing a fatal avalanche in Peru, returning a replica of a stolen Yeti hand to a Nepalese monastery, and then attempting the biggest climb of them all—Everest. Not content with being an exceptional climber, Mike decided to take up running. Before long he was attempting to run the world's highest marathon on the slopes of Mt. Everest. Then an even bigger challenge—seven marathons, in seven continents, in seven days. He's currently planning his next big adventure – a journey to the North Pole. Whatever happens, one thing's for sure—he won't be sitting on the couch wondering "What if?"